Join the Delaware Highlands Conservancy and Catskill Mountainkeeper for a Fall Hike at the Tusten Mountain Trail in Sullivan County, NY on Sunday, October 14 from 10am-12pm. Enjoy great views of the Delaware River, fall foliage approaching its zenith, and traverse a historic stone arch bridge. Learn about the ecology, culture, and history of the area with Melinda Meddaugh, Land Protection Coordinator for the Conservancy. 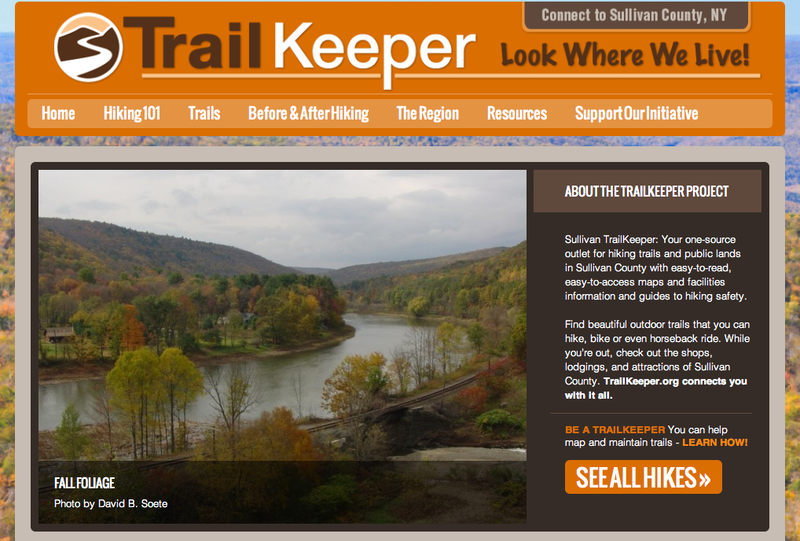 The Tusten Mountain Trail is featured on the newly launched website,TrailKeeper.org, a one-source outlet for hiking trails and public lands in Sullivan County, NY with easy-to-read, easy-to-access maps and facilities information and guides to hiking safety. TrailKeeper.org provides access to trail information that matches hiker to trail. The Fall Hike is free and open to the public, but registration is required. Contact the Delaware Highlands Conservancy at 570-226-3164, 845-583-1010, or send an email to info@delawarehighlands.org to reserve your space and receive directions. 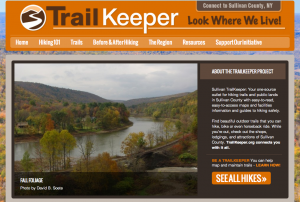 Trailkeeper.org, launched in September 2012, is the result of a partnership between the Delaware Highlands Conservancy, Catskill Mountainkeeper, the Sullivan County Division of Planning and Environmental Management, the Sullivan County Visitors Association, and Morgan Outdoors. This entry was posted in Uncategorized by Mountainkeeper. Bookmark the permalink.